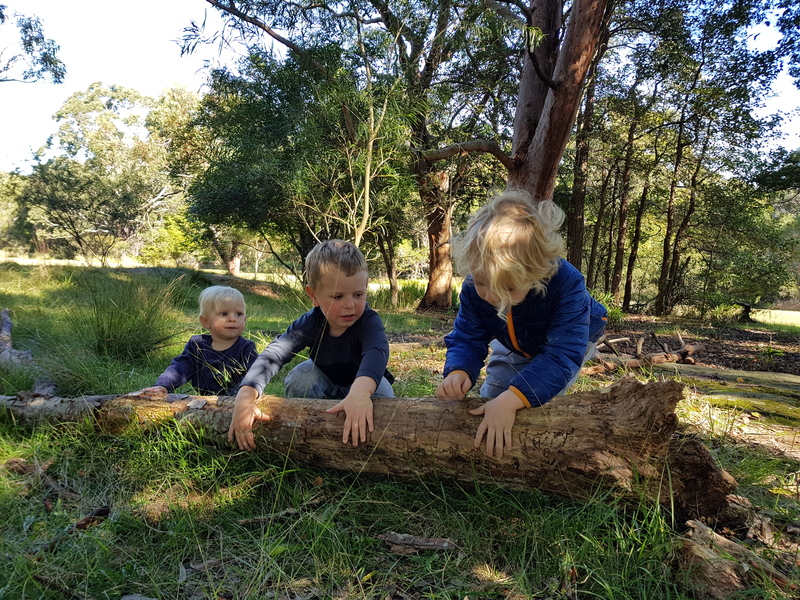 Kincumba Mountain 18mth-5yrs | Raw & Unearthed. Enrolment is term based, alongside the NSW School Terms. Each term is approx 10 weeks. A ‘home’ space with rugs is provided for families to comfortably sit and relax under the big gum trees with Old Grandfather Kookaburra watching over. During our session the children will have access to the reserve including honeymoon rock and walking tracks- so much space to explore! We provide free access to our extensive tool kit for children to extend their ideas and opportunities for play and to master specific skills. 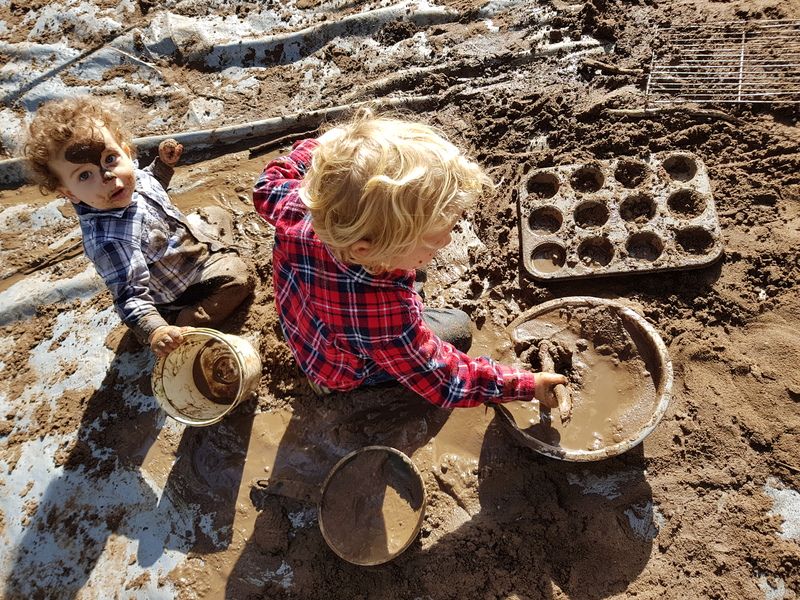 An open ended creative exploration play space is offered each week, such as clay or charcoal art. 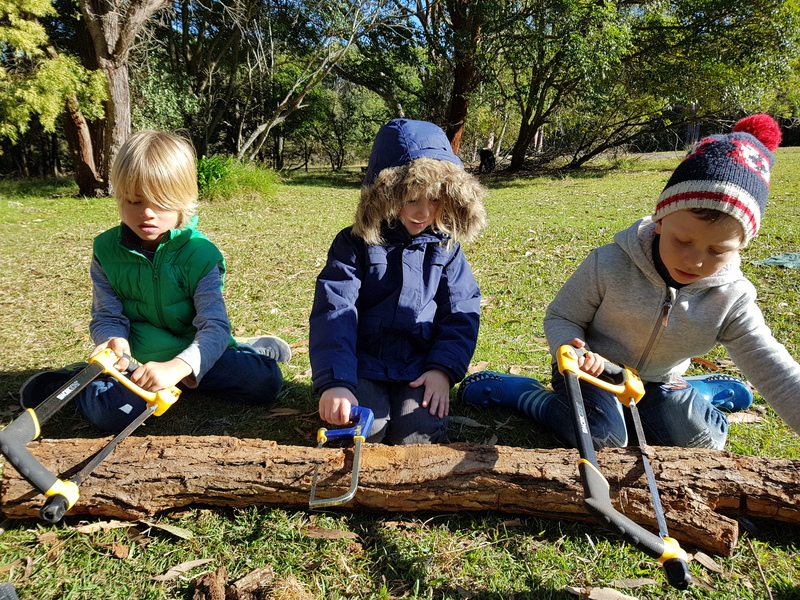 Tool play, cubby building, whittling, exploring, rock climbing, mud play, bush walking and engineering such as trap making are just some of the many play ideas that may evolve during our sessions. Raw&Unearthed PLAY is all about slowing down from our busy lives and disconnecting from overstimulating technology to reconnect with the natural world and each other.